DD: I see lots of flyers around Seattle for your Trashed shows, How do you feel the year has been for your Magazine and crew? The night went from 0 to 60 over night for the most part and this past year has been one big blur. I feel the night, blog, and team becomes tighter and tighter as the days go by. We’ve gone from a monthly, to a kind of roaming party. Doing different one offs and other things around town. Home base has been The Baltic Room but we’ve worked with Hunter Gatherer Lodge, ETG, Temple Billiards, The Islander Yacht, and we’re gonna be working with Neumos on a semi regular basis now. So over all loving what’s happened and where we’re going! DD: Describe the overall feel of the upcoming Trashed Showcase at Decibel Festival on Saturday, Oct. 1..
We got RAC coming in to headline. We’re pushing the TRASHED sound so the show it self will be what people are used to. I’m not gonna go in to great detail cuz we like the shows to be a surprise to the people that attend but I will say we’re gonna have more then the usual props and the booth is gonna be a little interesting ;]. 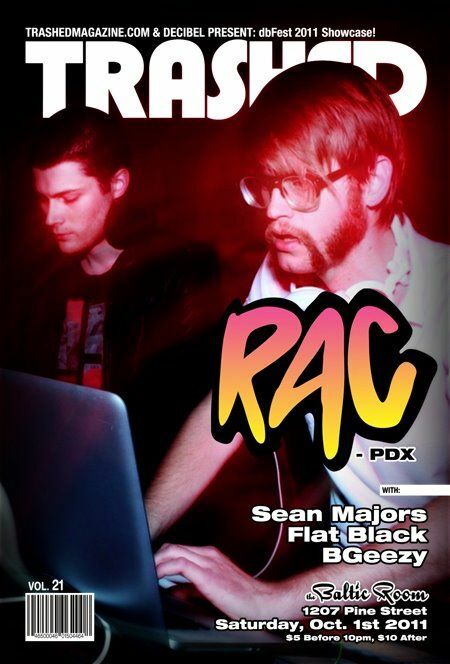 For more on RAC check out their Soundcloud. Over 100 remixes for free download. DD: Outside of your showcase, who are some artists you cannot miss this year at dB? I definitely wanna see Onset’s showcase this Wednesday with Hive and Total Science. Thursday, If I head out I’m gonna check out Ladytron at Sinthetic. Friday’s HUGE with Moby, Trust Showcase and Breakage. 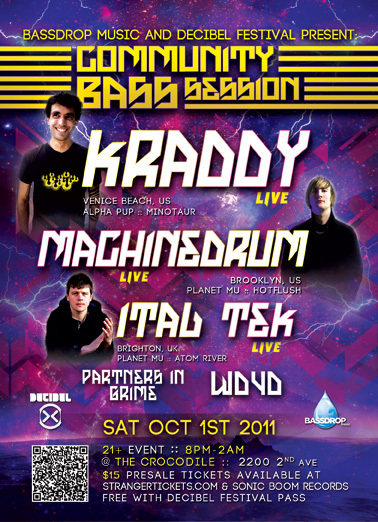 Saturday, TRASHED! and Sunday is DBridge but I’m not gonna be out I’m sure. I’ll need my sleep after that. 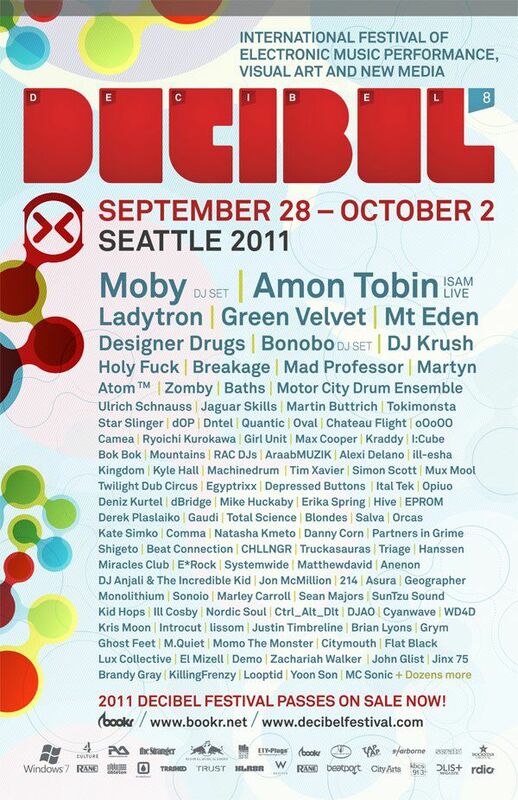 Dbfest once again bringing it proper. Gonna be a crazy weekend for sure! DD: You have some wonderful label affiliations! How did these relationships come together? The Minus one is actually Plus 8 Records which is the sister label of Minus. When I first started making techno and house music in the early 90s, Richie Hawtin was one of the first people I sent demos to and communicated with. He always took the time to listen and give me feedback. Plus 8 was also one of the first labels I began to follow and became a huge influence on me. We kept a dialogue going and eventually in 1994 he signed some of my trax to Richie and John Aquaviva’s house sub-label, Definitive. 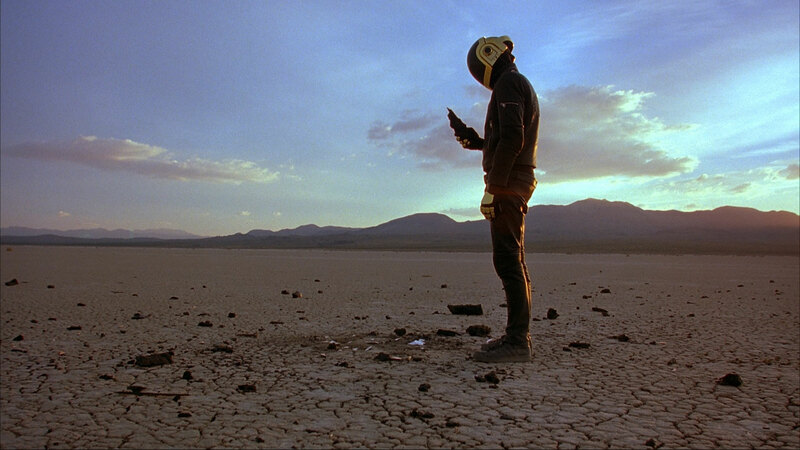 I connected with Richie again around 2009 when we played a gig here together and he asked me for some recent music. I gave him a CDR of some new material and that became my ep on Plus 8. Throughout all of this time I feel like I really owe a lot to this guy from my start to present day. Well Im not sure how the Ghostly one got on there as Im not an artist of theirs but in the very early days of the label I did a remix for the second Spectral release (Kenneth Graham). I remember when Sam sent me a package of the labels first releases and being so impressed by not only the music but the packaging and design. Its really great to see what hes done with Ghostly and how its evolved into something so much more than just another record label! DD: Your set at Decibel Festival will take place at one of favorite local venues, The Woods. It is beautiful up there, such a nice view and the DJ is up highhhh. What’s your set going to be like? Ive never been to The Woods but it sounds great! My set will probably lean towards the housier side in keeping with the vibe of the lineup, but you never know where it could go… Will have to see what people are up for and where things take us. Im thinking some newer bits mixed with some older… Maybe some acid house from Adonis, some techy house from Agaric..